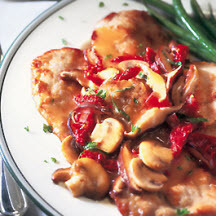 CooksRecipes has quality, kitchen-tested recipes for veal chops, cutlets and steaks that you can count on for successful deliciousness. 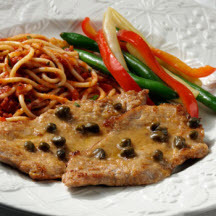 This classic Italian dish is quick and easy enough to serve family on a busy weekday, yet elegant enough to serve guests on the weekend. 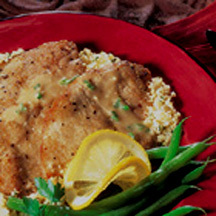 Sautéed veal cutlets served with a savory lemon mustard sauce over couscous. Recipe from Chef Tony Tammero of Palm Restaurant, New York, NY.